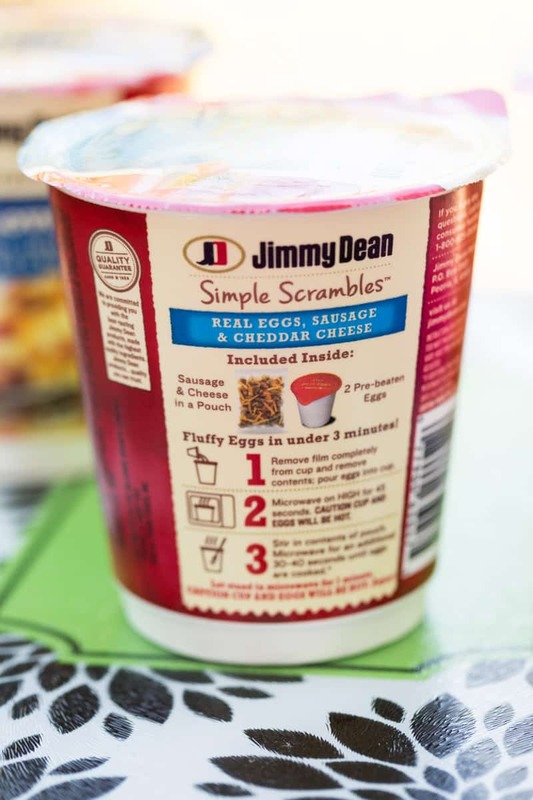 Jimmy Dean Simple Scrambles are made with real eggs and tasty mix-ins like cheese, bacon, and sausage. Have a hot breakfast in under 3 minutes! How hard is it for you to open your eyes first thing in the morning? For me, it’s like trying to lift weights with my eyelids. Prior to coffee, I am radically unmotivated to do just about anything. I remember what it was like to wake up to the smell of eggs and bacon when I was a kid. That savory scent made it ever so much easier to wake up. But since I’m the first to rise in my household these days, the kitchen is cold, dark, and lacking in delicious smells. However, I’ve gotten the chance to try a product that will make those dreamy hot breakfast scents a near-instant reality (rather than something you have to wait for). 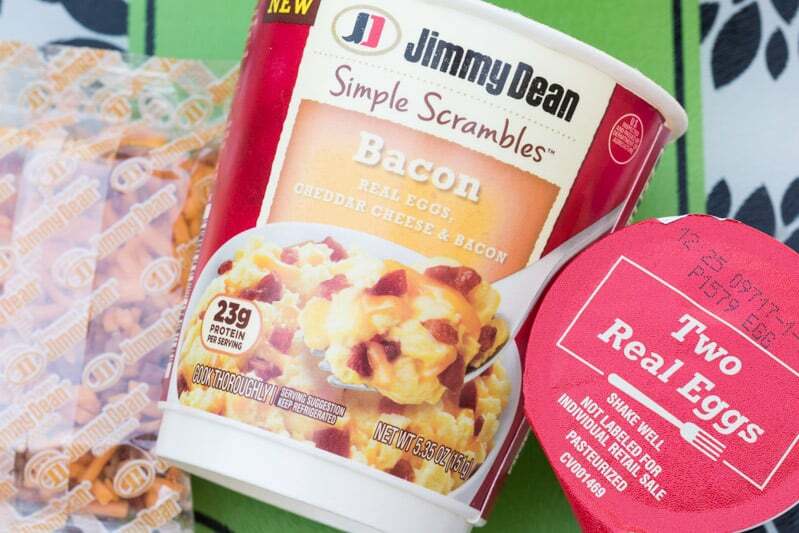 It’s the new Jimmy Dean Simple Scrambles, which can be found near the pre-cooked bacon in the refrigerated meats section at Walmart. 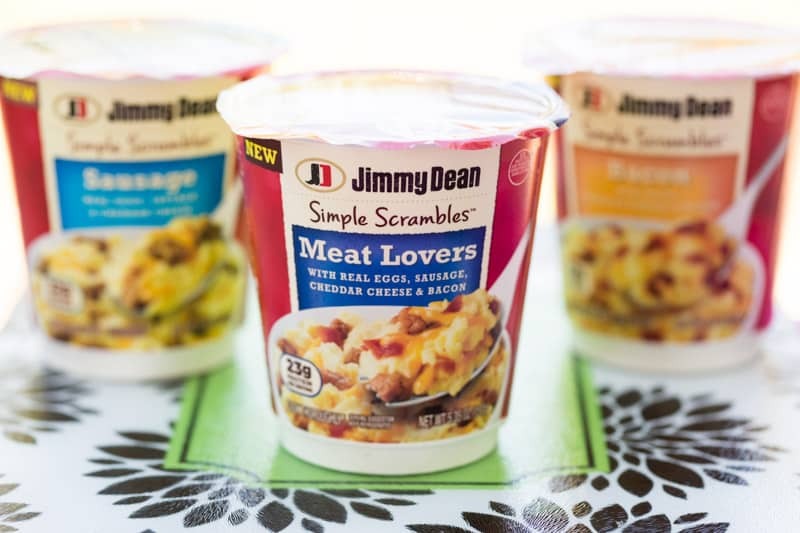 What are Jimmy Dean Simple Scrambles? 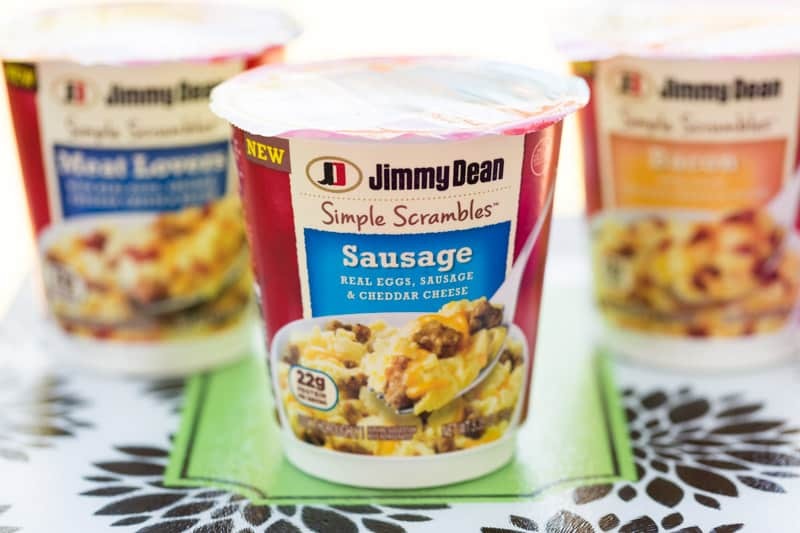 Jimmy Dean Simple Scrambles are a way to make real eggs with real mix-ins (like cheese, bacon, or sausage) in the microwave, right inside its own packaging. 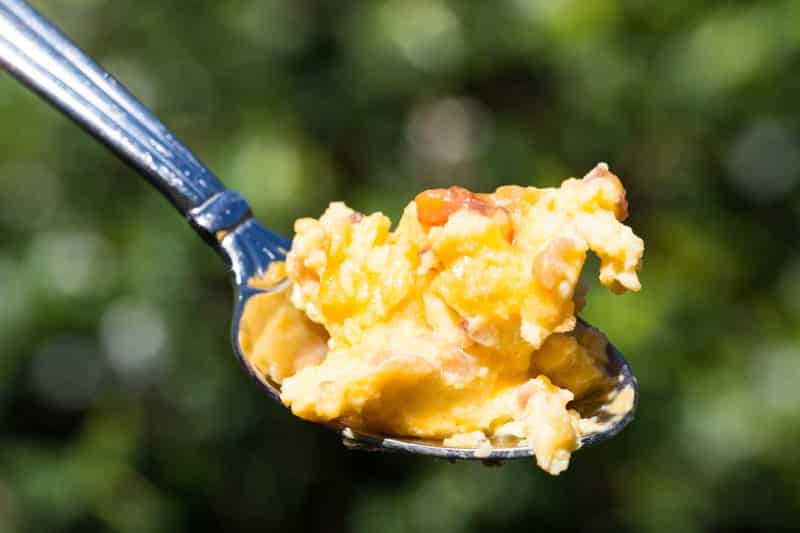 No need for extra bowls, frying pans, or anything other than a utensil. 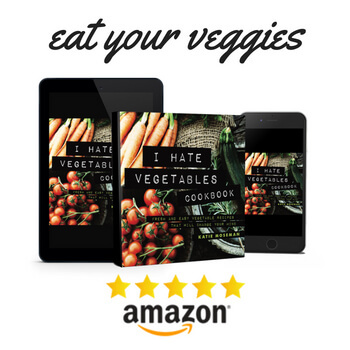 The result tastes just like freshly scrambled eggs! 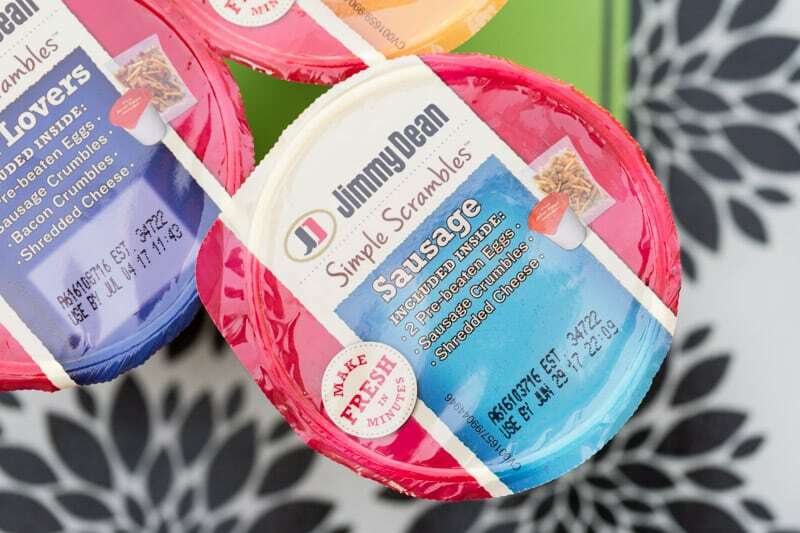 How many varieties of Jimmy Dean Simple Scrambles are there? There are three varieties. Bacon (with cheddar cheese), Sausage (also with cheddar cheese), and Meat Lovers (includes bacon, sausage, and cheddar cheese). How long does it take to cook Simple Scrambles? 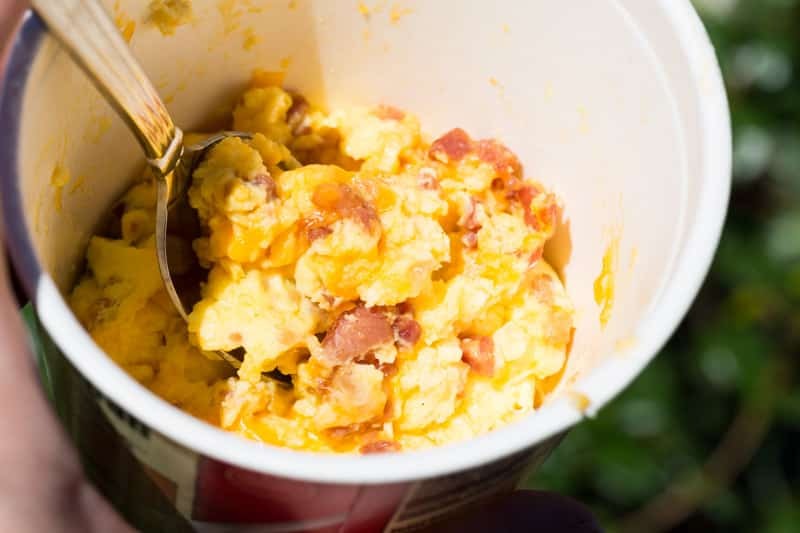 It takes less than 3 minutes to cook a Simple Scrambles. 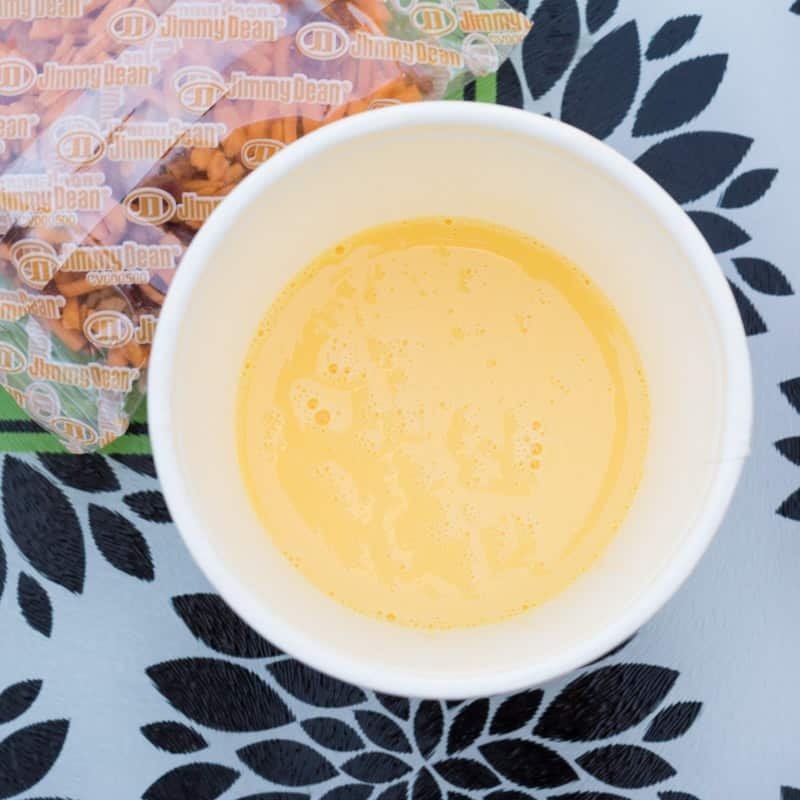 If you have to wake up early in the morning like me, this is the perfect rise-and-shine, get-up-and-go breakfast—especially if you’re in a hurry. In between packing lunchboxes, filling backpacks, and checking 999 emails, all of which (defying logic) are labeled “Priority,” I always seem to be in a hurry in the morning. So this is a grand solution for a breakfast that’s hot, filling, and tasty. 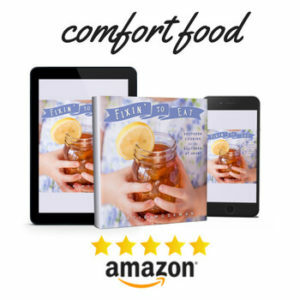 All you have to do is remove the lid and the interior packages (including an egg container and a packet of mix-ins), pour in the eggs, and microwave according to the package directions. Voila! Eggs for breakfast, by the light of the rising sun. 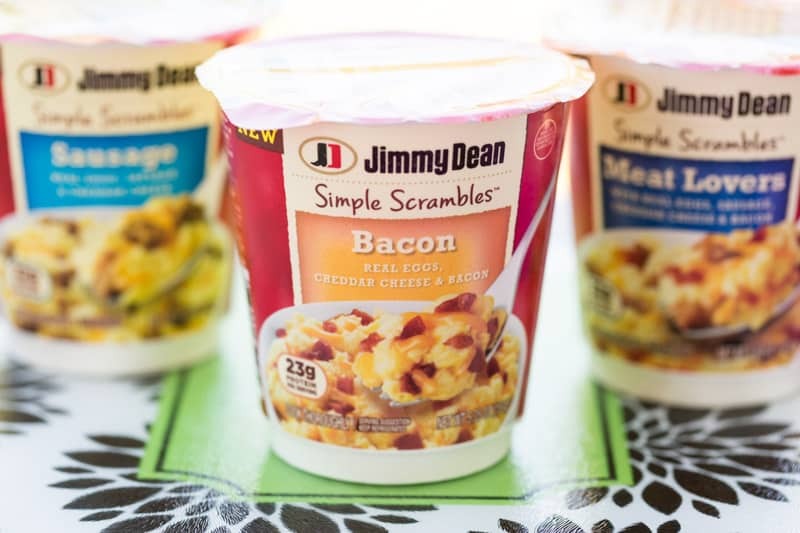 Look for Jimmy Dean Simple Scrambles at Walmart in the refrigerated case near the cooked bacon.